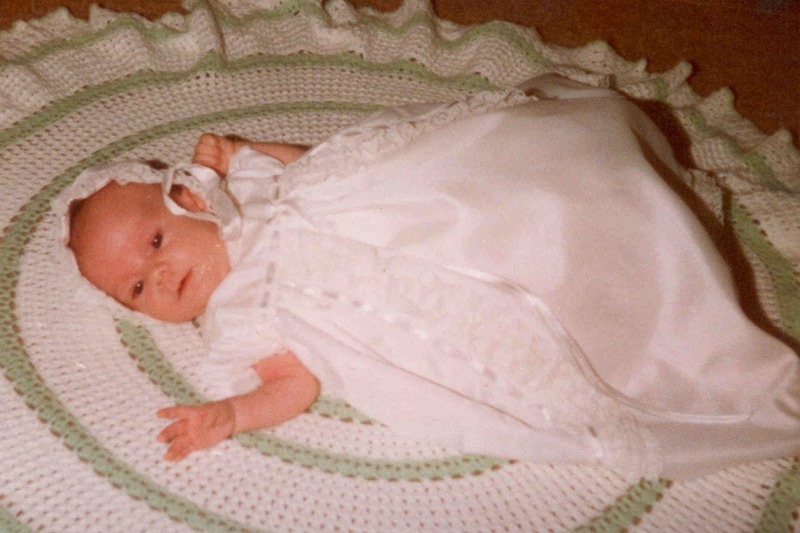 There comes a moment in many people’s lives when something so profoundly devastating happens – the death of a baby. The family are going through immense pain and suffering and then the unthinkable happens, they have to plan a funeral. A family needs to be able to say goodbye to their angel baby. It helps to set them on the difficult grief journey with something positive to look back on. However, having to pay for a baby’s funeral is out of the reach of some, which leaves them in the position of either having to borrow the money from friends or family, which again creates more anguish for the family, or leaving a bad debt. 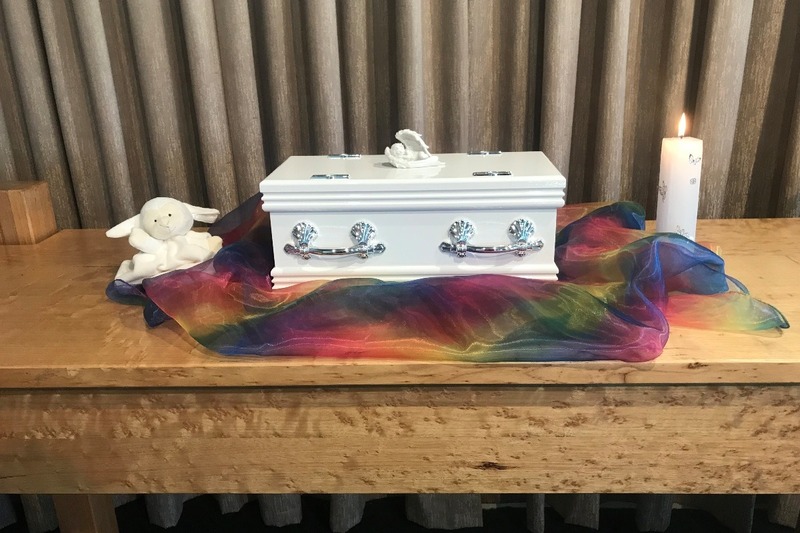 It is tragic enough for a baby to die, let alone to not have the financial resources to have a funeral when they have had to say goodbye, before they have even had the chance to say hello, or have had their precious baby die before they have even celebrated their first birthday. My name is Robyn and when my daughter, Rebecca Jane died, our parish priest, told us not to worry about any costs, as the church would pay for it. It was like being given a million dollars! We had no idea how we were going to pay for her funeral, because we were not planning on her dying! I was a stay at home mum and consequently, a single income family. Now, many, many years later, the time has come to pay it forward, to create a charitable foundation to help families in that position who often have no one to turn to. Maybe you were one of those who couldn’t afford your baby’s funeral and perhaps you are now in a position to help someone else? It does not matter the amount you can afford, be it $10, $20 or $50, with each $1,000 we raise we will be able to help a family, who have a baby from 20 weeks gestation through to approximately one year, have a beautiful farewell for their angel baby. They will be able to have a chapel service in a funeral home chapel, crematorium or a church, a celebrant or minister of religion and a cremation service paid for by the foundation. But of course we need funds to start! The charity will be formally launched on August 7th, 2018, which would have been Rebecca’s 40th birthday, however we need to start now and make sure our systems are in place and that we have funds available, so any donation, no matter how small, can be joined with others and be able to help us reach our goal. The more we receive the more families we can help. If you would prefer to donate through PayPal, please leave us a message and we will get in touch with you with details. Our application to be a registered charity has been submitted and is pending approval. Eventually we would like to have corporate sponsorship as well, so if you own a business or work for one that would be willing to support us, please leave me a message and I will happily follow it up! 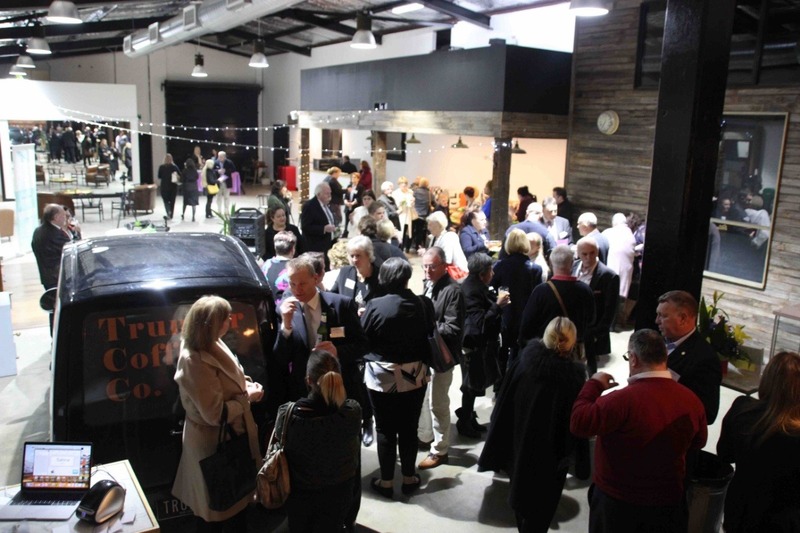 Perhaps you’d like to have a small fundraiser yourself, a bbq at Bunnings, a cake stall or a morning tea to benefit us, again, please let us know. Maybe you belong to a group and would like a guest speaker to come along and explain about the Foundation, again, we’d love to hear from you! It is important for you to know that there are no paid staff, everyone from the board to administration are all volunteers. Rebecca’s life brought me more joy than I thought was possible, her death gave me indescribable heartache. But the lessons she taught me in her almost 10 months of life have made me the person I am today and I’m so very proud of her for that. Thank you for taking the time to read about the dream I have, with your help, I know we can do it. Normally I’m not one for posting things on Facebook, but I am asking you from the bottom of my heart to share this on your Facebook page and also ask your friends to share it on theirs and on any other social media, because all of us know someone whose baby who sadly never got the chance to live or were taken too soon. The man who really started it all! 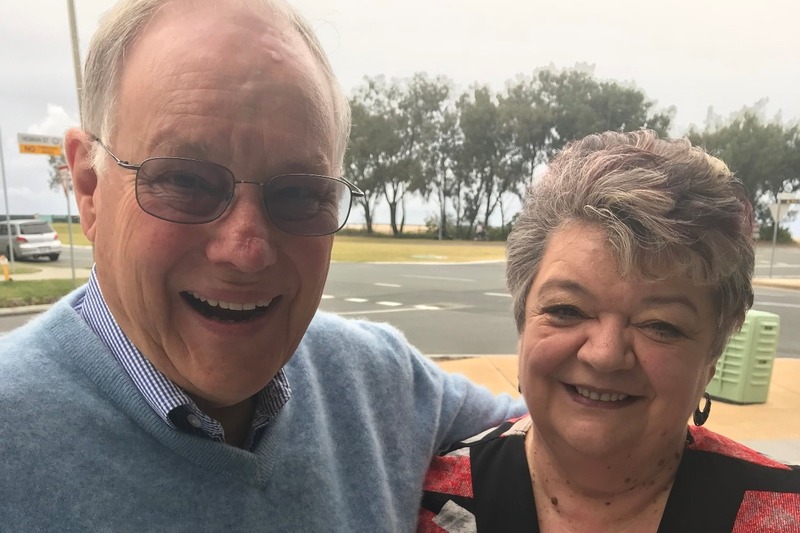 Robyn finally got to reconnect with Fr Nick Punch OP, the man whose kindness 39 years ago, by gifting Rebecca Jane's farewell to her parents, inspired Robyn to want to help others. With Fr Nick now living in the USA, their busy schedules meant they just couldn't time it right that they were both in the same place at the same time. After trying for 12 months, it finally happened when Robyn was in Queensland last Wednesday. There were so many smiles and memories, with Fr Nick sharing the pride he had in Robyn for using her own personal tragedy to enable her to help others. They definitely have plans to stay in touch and he is super keen to keep up with the progress of the foundation. As always, your support is so greatly appreciated, we're getting there we can almost help five families! A very BIG thank you to our supporters, we're almost at helping two families in the first week - how awesome is that? Our hearts go out to those mums who had to say goodbye to their angel babies, no matter how long ago, as we approach Mother's Day on Sunday. I remember feeling so strange that here I was a mother but I no longer had a baby.... was I still entitled to even be called a mother? Grief does strange things to you, particularly in that first year, but it doesn't get any easier just because that first year has past. I remember being at something not that many years ago where a mother and daughter were sitting, looking at a catalogue and laughing together and still 39 years later, I felt cheated, not sad, not angry, just cheated that I have missed out on something. Sure I have a son and love him to bits, but there is something special between a mum and her daughter that just can't be put into words. I know my own mum used to drive me nuts a lot of the time, but she was still my mum and still there. So if any of you are those mums who were having or had a baby who is now only in your heart, please know that that this mum will be thinking about you on Sunday. Maybe if you are not organised, haven't thought about what to get your mum, maybe she would appreciate if you donated to help another mum. If you do, please let me know and I'll send you an appreciation poster with her name on it via email so you can print it out and give it to your mum on Sunday. Thank you again!